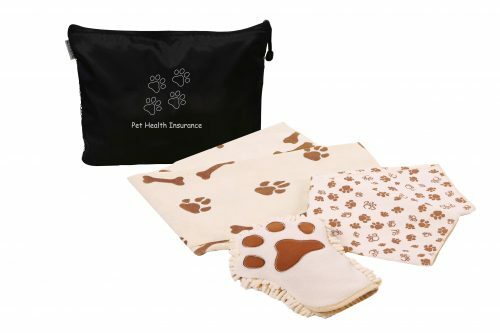 The Microfiber Dog Wash Kit is ideal for use after taking a bath, playing in the snow or mud, or walking in the rain. These highly absorbent microfiber towels and pet mitt whisk dirt and moisture off your dog before it can be tracked into the house or car. The paw-shaped mitt is designed for easy, one-handed cleaning. It attracts mud and dirt as well as absorbing up to 8 times its own weight in water. 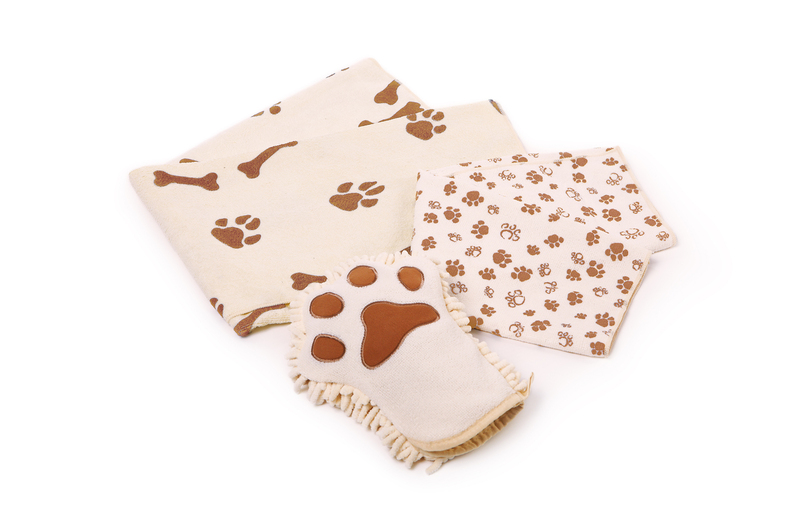 The towels also attract and hold shedded pet hair, so less water and hair is on you. Reusable, durable and fast drying. Packaged in a black, zippered polyester pouch. 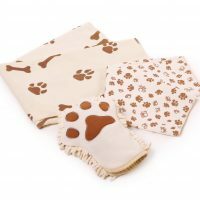 Towel with paw prints 20″ x 20″, Towel with dog bone: 32″ x 32″. These highly absorbent microfiber towels and pet mitt whisk dirt and moisture off your dog before it can be tracked into the house or car. 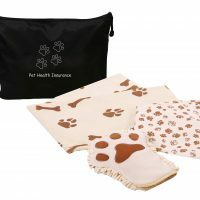 Towel with paw prints: 20″ x 20″ | Towel with dog bone: 32″ x 32″. 85% polyester / 15% polyamide. Call for pricing.